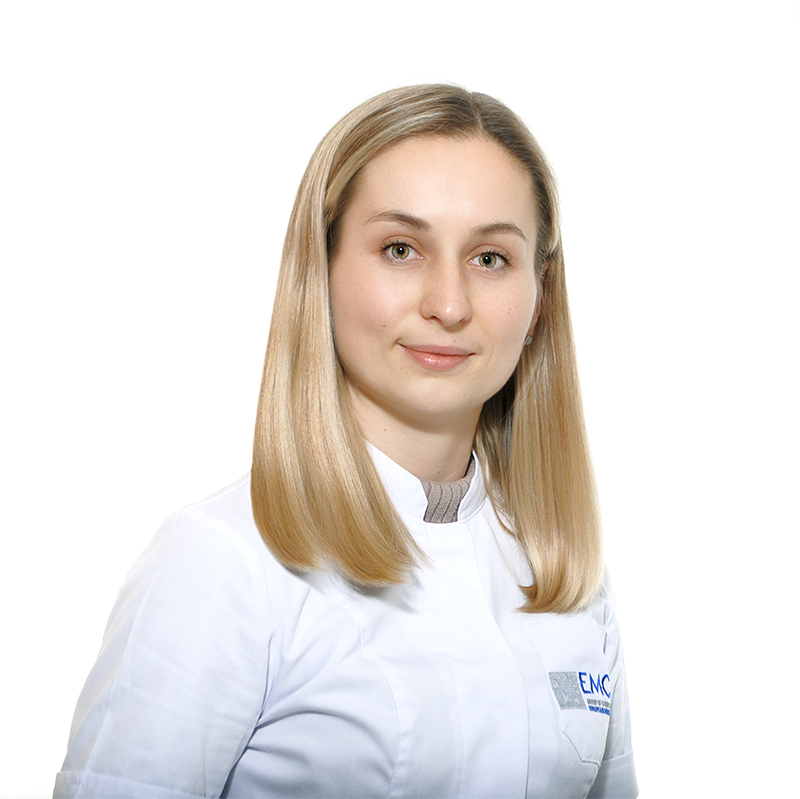 SERGUNINA Olga, Doctor EMC. Make an appointment, ask a question. Dr. Sergunina has graduated with honours from the Russian State Medical University named after N.I. Pirogov in 2011. From 2011 to 2013 she was trained in clinical residency in a specialty of obstetrics and gynecology at the Scientific Center of Obstetrics, Gynecology and Perinatology named after V. I. Kulakov. Since 2013 – Obstetrician-gynecologist of the Obstetric Unit. Since January 2019 - obstetrician-gynecologist of the Maternity hospital at the European Medical Center. She is certified in ultrasound diagnostics in obstetrics and gynecology. Currently, she works on her PhD thesis on the topic: "Markers of endothelial activation in preeclampsia." she is a co-executor for grant of the President of the Russian Federation. She is the author of 14 publications, including in international publications. prediction and early diagnosis of pregnancy complications.